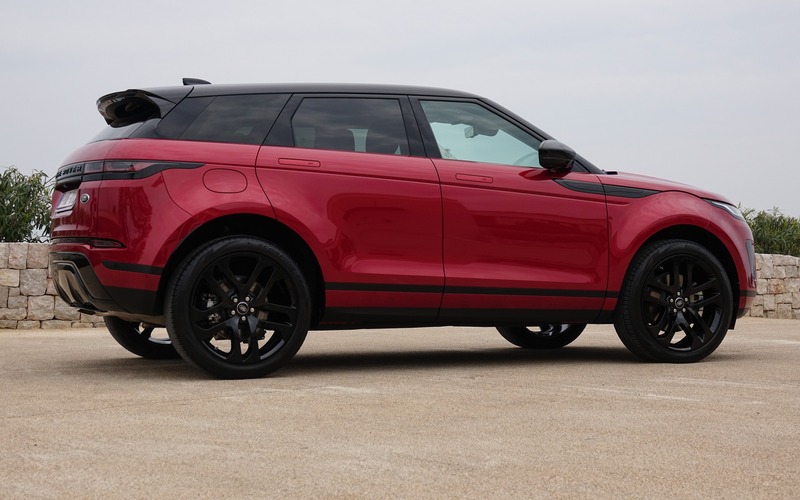 ATHENS, Greece – About eight years ago, the original Range Rover Evoque seduced car fans all around the world with a low, sloping roofline, a very high beltline and angular shapes that made it look like a tough little off-roader. As it turned out, you could hardly find one outside of friendly neighbourhoods, let alone city confines. Over the years, the most distinguished of compact luxury SUVs lost some of its appeal while an army of hot newcomers caught up with it. Land Rover desperately needed to revamp the Evoque to hopefully regain a leading position in the race. That’s what the prestigious SUV maker’s engineers and designers have done for the 2020 model year. The Range Rover Evoque is now completely new from the ground up. What, you think it looks the same as the old one? Don’t say that; you’ll just make Gerry McGovern mad! Land Rover’s loquacious design director will tell you that he and his team worked on every aspect that made the Evoque so attractive upon its introduction. But since you don’t make radical changes to a winning recipe (over 800,000 units sold), a simple evolution is preferred. Take a closer look and you’ll see that the stylish new 2020 Range Rover Evoque’s tailor-made suit incorporates way fewer creases and folds—similar to the magnificent Velar sitting one step higher in the brand’s portfolio. This second generation admittedly has a lot in common with the first, but it makes a point of displaying more finesse and refinement. The sloping roofline is still there, but with much smoother surfaces all around and better proportions, especially with the available 21-inch wheels. While the changes are fairly subtle on the outside, it’s a different story when you open the doors. 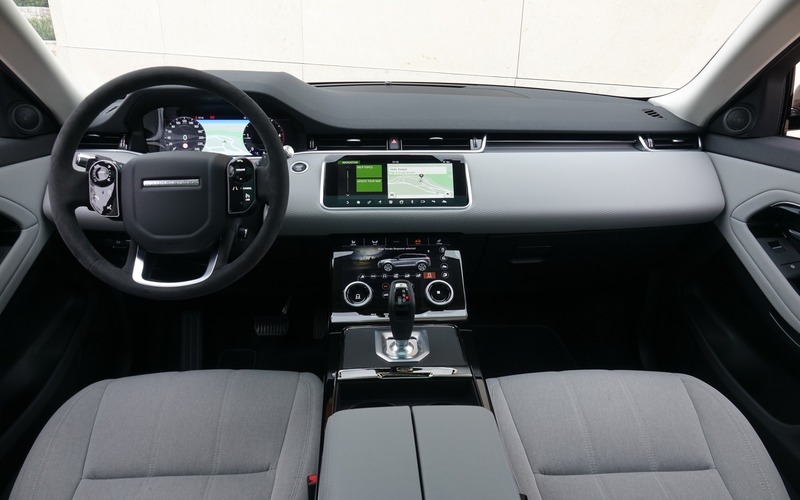 The horizontal layout of the new dashboard, the two large touchscreens in the middle, the broad digital display facing the driver, the touch-sensitive buttons on the steering wheel and the beautiful controls on the centre console are directly inspired by those in the Velar. These elements make for a modern, smartly designed cabin, but you really have to spend time exploring and deciphering the various menus and functions, especially since they will change based on the mode you select. It’s quite a tall order when you’re actually driving, but you’ll get used to it eventually. Just beware of distractions. At a time when every car and truck keep getting bigger, the 2020 Range Rover Evoque is almost the exact same size as its predecessor. It benefits from an architecture that lowers the engine for improved handling and performance. The rear suspension has also been lowered, creating extra room in the trunk. The Evoque’s unibody structure is now 13 percent stiffer through the combination of more high-strength steel with aluminum and magnesium, which not only increases safety, but also results in a quieter, more comfortable ride. There’s more room and storage, too. 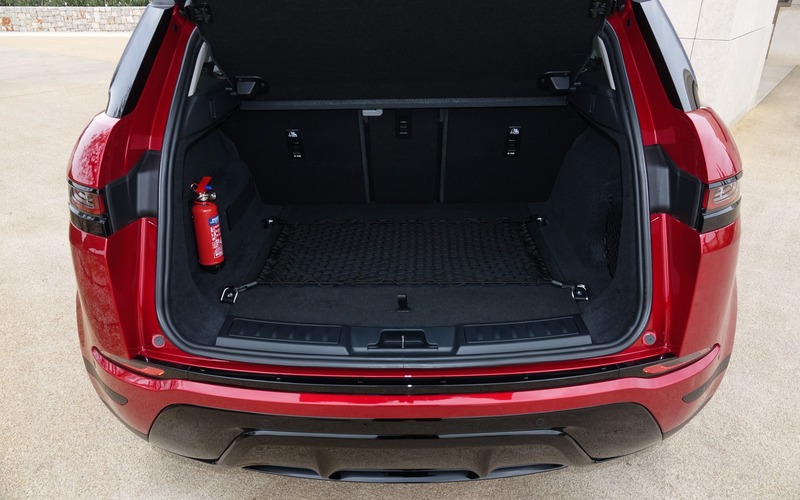 The rear seats in the Evoque used to be pretty tight, but they’re the primary beneficiary of the 23-mm longer wheelbase. The two outward seats are quite acceptable, with a high cushion, decent room for your knees and feet, as well as easy access. The middle seating position should only be used sparingly. The front buckets are simply superb. I love the way they’re sculpted, keeping your body in check and comfortable even after hundreds of kilometres, like during our trip on highways, streets, dirt roads and other trails around Athens and Peloponnese, Greece. Visibility is not great in the 2020 Range Rover Evoque, mind you. The wide rear pillars and large mirrors make it somewhat difficult to change lanes or see the inside of corners. And once again, there’s not a whole lot of rear glass to look through. Fortunately, a new digital rear-view mirror provides a clear, ultra-wide view of the environment behind the vehicle. 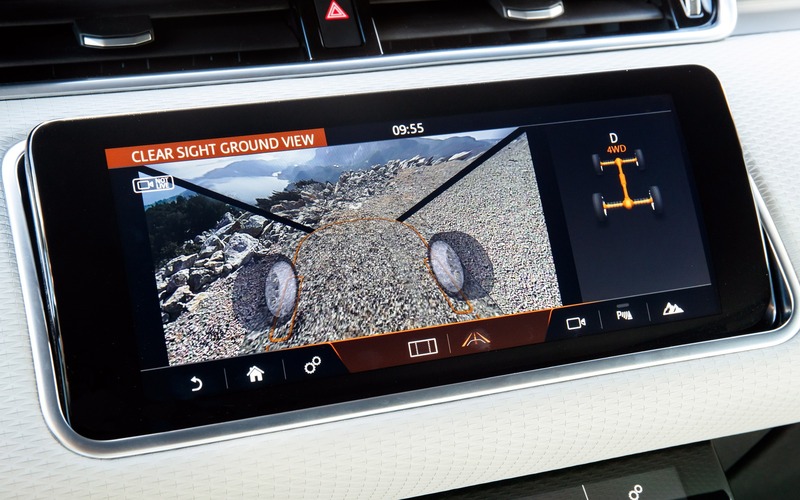 Our tester did not feature the optional ClearSight system, which allows you to see the wheels of the vehicle on the centre display as if the engine and hood weren’t there. That would have been helpful on many occasions where we ventured off-road and had to tackle more rugged terrain. In these conditions, the numerous electronic aids proved impressively effective. On the other hand, the new Evoque is limited by a ground clearance of just 211 millimetres, which is less than the Subaru Forester’s 221 millimetres. Adding an adjustable air suspension would be too expensive, according to chief engineer Alan Volkaerts. 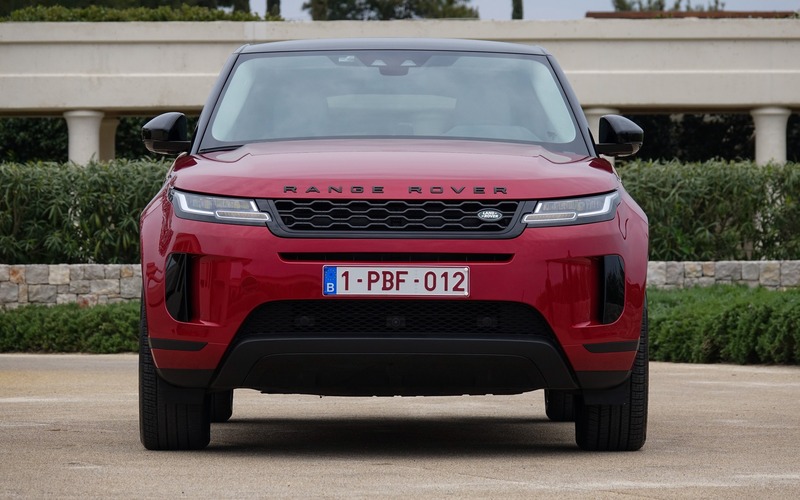 For this media drive in Greece, we were only allowed to sample a 2020 Range Rover Evoque P250 model equipped with a turbocharged, 2.0-litre four-cylinder engine rated at 246 horsepower. It’s a smooth performer, although acceleration and passing manoeuvres significantly lack gusto. The hesitant, slow-shifting nine-speed automatic transmission doesn’t help, at least in Normal mode. Things are much better when you activate the Sport mode. On the road, the new Evoque proves solid and surefooted, but just like the Velar, I wouldn’t call it sporty at all. Steering, though sharp, feels a bit disconnected, while a firmer brake pedal would be easier to modulate. Away from the pavement, the ride is harsh over cracks and bumps. We’ll have to wait another time to drive the P300 model, which combines a four-cylinder gasoline engine with a 48-volt electric system. Total output for this mild hybrid powertrain is rated at 296 horsepower, allowing 0-100 km/h sprints in 6.6 seconds (versus 7.5 seconds with the regular Evoque) while improving fuel economy in the process. A plug-in hybrid variant is scheduled to come at a later date. 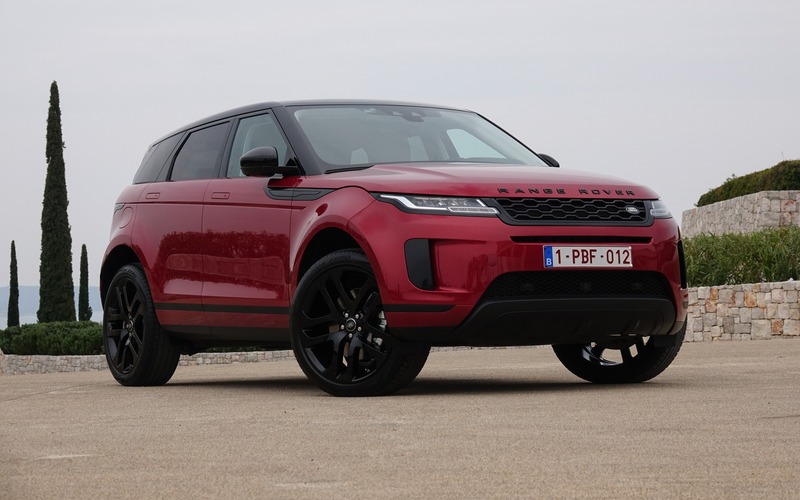 For now, the 2020 Range Rover Evoque is banking on a more elegant exterior and more sophisticated weapons to survive and conquer the lion’s den the compact luxury SUV segment has become. We wish it the best of luck. 8/10	Pretty good considering the size and nature of this SUV. 7/10	Superb front and rear seats, but the ride does get harsh over cracks and bumps. 7/10	The P250 version’s acceleration and passing manoeuvres are decent at best. We’re awaiting the mild hybrid variant. 7/10	The interface is definitely modern and high-tech, but can be confusing at first. 7/10	While stable and predictable, the P250 can’t be described as exciting or fun to drive. 8/10	The Evoque is back among the leaders, but doesn’t have all the ammunition to dominate.